We are called by our faith to share our talents and to ‘Go Forth and Share the Good News’. There are multiple opportunities to ‘Go Forth’ and volunteer at The Shrine of Our Lady of Pompeii, Chicago. Please see below for additional information regarding those opportunities. Thank you for your willingness to look for ways to ‘Go Forth’ and serve God and His people. 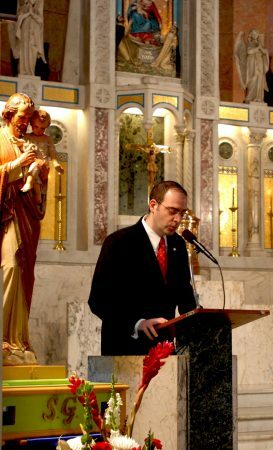 To volunteer at Shrine Liturgies, Please contact Carl via email or at 312.421.3757 x315. Liturgical volunteers are needed to be Extraordinary Ministers of Holy Communion, Lectors of the Word Ministry (Readers), or Ministers of Hospitality (Ushers/Greeters). Thank you for considering volunteer opportunities for these important ministries. To volunteer at any Shrine Cultural event, please contact Marcia via email or at 312.421.3757 x310. 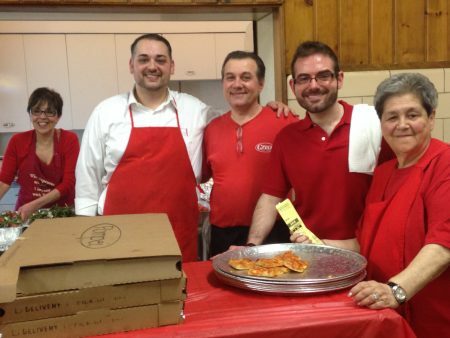 Volunteers are needed at all Shrine events such as St. Joseph’s Table, Festa de Tutti i Santi or Comedy night. 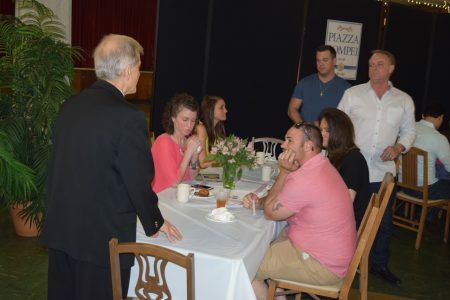 Come volunteer have some fun, food, and friendship in the Spirit of the Shrine of Our Lady of Pompeii. Thank you for considering volunteer opportunities at the Shrine’s many cultural events. To volunteer with the Shrine’s Piazza Pompeii group, please contact Mary Beth via email or at 312.421.3757 x319. Come spend some time with new and old friends. Thank you for considering volunteer opportunities in our Piazza Pompeii group. Interested in becoming an integral part of the Shrine? Come join the Shrine Auxiliary! What does the Shrine Auxiliary do? We help the Shrine in any way we can, providing Sunday hospitality and a community of welcome. The Shrine Auxiliary is always there to make it happen. We have two annual fundraisers, the bake sale and Lunch with Santa. 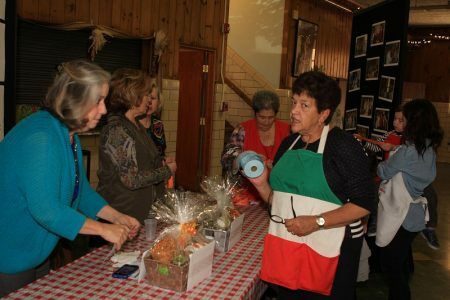 The Auxiliary serves at many events, including the St. Joseph Table, Festa di Tutti i Santi picnic in September, Mary and Christmas, and pilgrimages including the Columbus Day Mass and Parade, War Veterans and Filipino community. E-mail us at shrineauxiliary@gmail.com for information!